Looking for a New Bentley Continental GTC in your area? 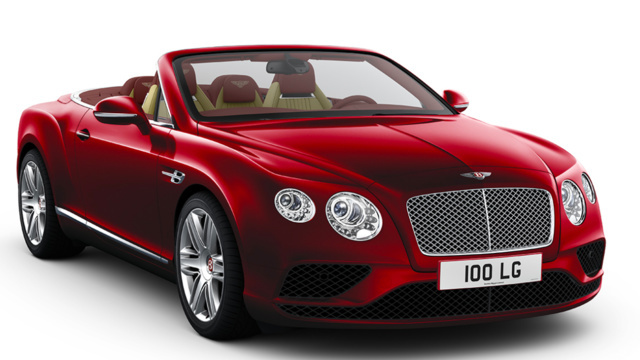 CarGurus has 44 nationwide Bentley Continental GTC dealers with 50 new car listings. Despite many changes, the current Bentley Continental GTC, the convertible variant of the Continental, has been around since 2004. In preparation for the next generation of the Continental, the hardtop GT coupe skips the 2018 model year and will be reintroduced as an all-new model for 2019. Thus, the convertible body style is the sole Continental offering for 2018. Despite its age, the Continental GTC cuts a modern figure. The front fascia, last updated for 2016, is dominated by the Bentley’s trademark quad-headlight arrangement and recognizable grille. The powerful lines stretch from bow to stern, undisturbed by unpleasant features seen on less luxurious vehicles. Even the Continental GTC’s soft top is special. It’s designed to be perfectly taut when deployed, making it look like a sleek cloth skin. Chrome borders around the back and sides and an athletic “B” emblem on each fender completes the look. Inside, the Continental GTC is, as always, a fine place to be. It seats four adults in absolute comfort, and there’s about 9.1 cubic feet of storage—whether or not the top is folded. All number of upholstery combinations are available, and there’s hardly any exposed plastic. Everything is covered in swaths of leather or carpeting, and anything that looks like glass or wood is genuine. There are more than 17 types of leather choices offered standard, too. The Continental GTC continues to come in two main flavors, the GTC V8 and the GTC. The V8 model sits at the bottom of the lineup, and employs a twin-turbocharged 4.0-liter 8-cylinder good for 500 horsepower and 487 pound-feet of torque, along with an 8-speed automatic transmission and an always-on all-wheel-drive (AWD) system with a 60:40 front-to-rear power split. This combination is good for a run to 60 miles per hour in just 4.7 seconds and a top speed of 187 miles per hour. The GTC V8 gets unique theming with red Bentley emblems, red brake calipers, a subtle rear decklid spoiler, and figure-eight-shaped exhaust tips. The GTC trim is graced with an earth-shattering twin-turbocharged 6.0-liter W12 engine capable of 582 hp and 531 lb-ft, mated to the same 8-speed automatic transmission and AWD system. It can hit 60 mph in 4.4 seconds and climb to 196 mph. 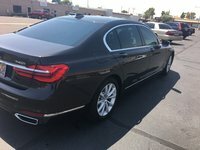 As a vehicle fit for a king, the list of standard features on the Continental GTC is solid, including 20-inch wheels, air suspension, an 8-inch infotainment system, navigation, bi-xenon headlights with LED signature lights, heated power front seats, LED taillights, and satellite radio. Options include a Naim audio system, ventilated front seats with a massage feature, a TV tuner, and built-in neck warmers. Of course, if those equipment levels aren’t enough, Bentley’s Mulliner department is set up to equip the car to the exact specification of each customer. On the safety front, the Continental GTC has the customary assortment of airbags and traction control standards. Advanced features are optional and include a reversing camera, rear parking sensors, and adaptive cruise control. The model, due to its low volume and market share, hasn’t been crash tested by any major agency. Bentley’s grand-touring convertible enters its final phase of life before a major redesign, looking as handsome as ever. The swan-song model absolutely embodies all the best values of the brand, and the 2018 Bentley Continental GTC will age gracefully. What's your take on the 2018 Bentley Continental GTC? Have you driven a 2018 Bentley Continental GTC? Enter your zip to see incentives for a new Continental GTC in your area. Looking for a Used Continental GTC in your area? CarGurus has 420 nationwide Continental GTC listings starting at $39,900.